For Mr. Alexander, crime was a business to be conducted with honor and respect. But, like the saying goes, “there is no honor among thieves.” And when that honor is challenged and tested, much more than a reputation is at stake! With guns a-blazing, Anchor Bay Films announces the release of Force of Execution, starring action legends Steven Seagal (“True Justice,” Maximum Conviction, Machete), Ving Rhames (Pulp Fiction, the Mission: Impossible films), world champion martial arts superstar Bren Foster (Maximum Conviction) with Danny Trejo (Machete, Machete Kills, and “Sons of Anarchy). 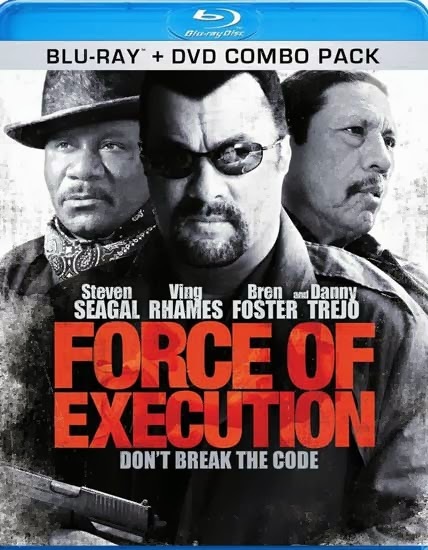 Ex-military specialist, Mr. Alexander (played by Steven Seagal), is now a old-school crime boss who runs his organization with fear, respect, and brutality. He uses his most-trusted hitman, Roman Hurst (played by Bren Foster) to take down a mark who is prison, but when he takes out the wrong person Hurst takes the fall and is forever disgraced. Having his hands brutally beaten, he is not able to do his job anymore; he now lives as a bum living in a hole-in-the-wall apartment above a diner, doing nothing but drinking and wandering the streets. 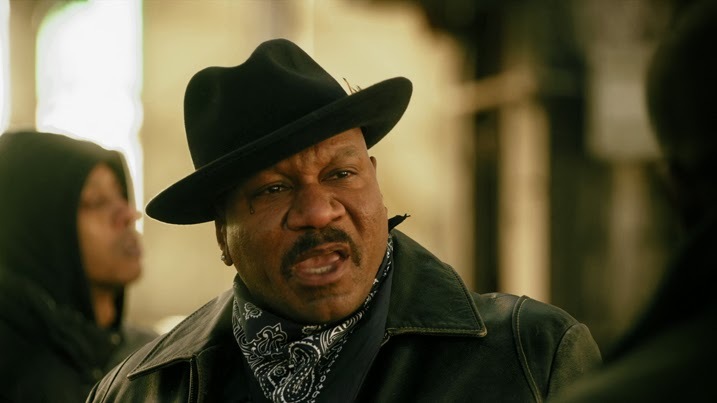 After getting out of prison, Ice Man (played by Ving Rhames), looks to hook up with Mr. Alexander and run the streets with him. Ice Man is looking to make a name for himself and his crew in his neighborhood as the new gangster that is not to be messed with. When all the competition starts getting knocked off, Mr. Alexander goes to Hurst for help and Hurst must decide where his loyalties lie. 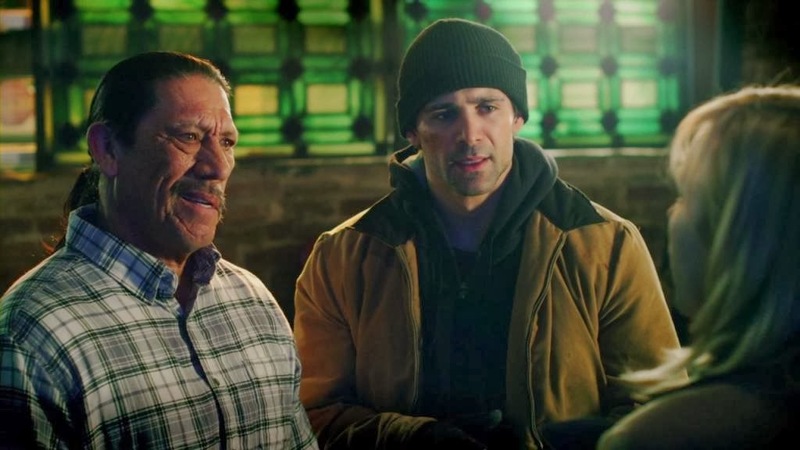 With the help from the mysterious diner cook, Oso (played by Danny Trejo), Hurst has a chance to come out of retirement and help his old boss take back what is being taken from him. Using methods that are not orthodox Oso helps rehabilitate Hurst's former talents to help Mr. Alexander one final time. Mr. Alexander is all about respect, giving and wanting it in return, but when the Ice Man disrespects him Mr. Alexander feels he must teach the Ice Man some respect. When rival mobs cross each other there is no telling who is going to come out of their gang waalive. 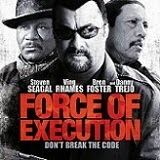 Force of Execution was enjoyable to watch even if you know what you are getting into when you see who is in it. The fight scenes were very well done; while watching the behind the scene look, Steven Seagal choreographed some of the scenes to make them look as real as possible as well as working within the actors capabilities. Steven Seagal and Ving Rhames both usually play a character on the right side of the law, however in this they both played the "bad guy" but Seagal is the person who had more morals when everything was said and done. 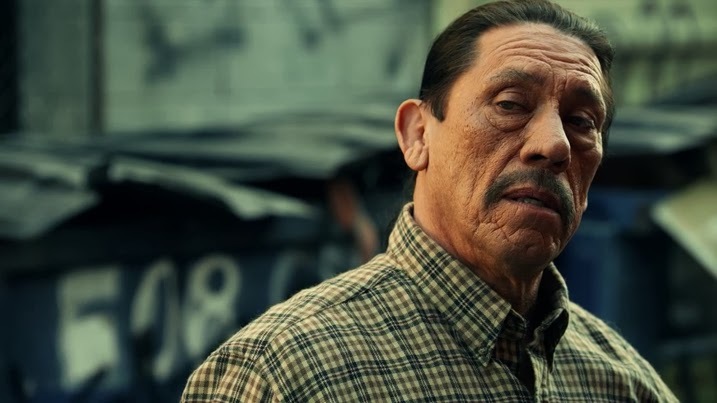 Danny Trejo again played a mysterious person who adds to the story without doing much. Bren Foster who is not as well known in mainstream acting did an awesome job when it come to the martial arts. 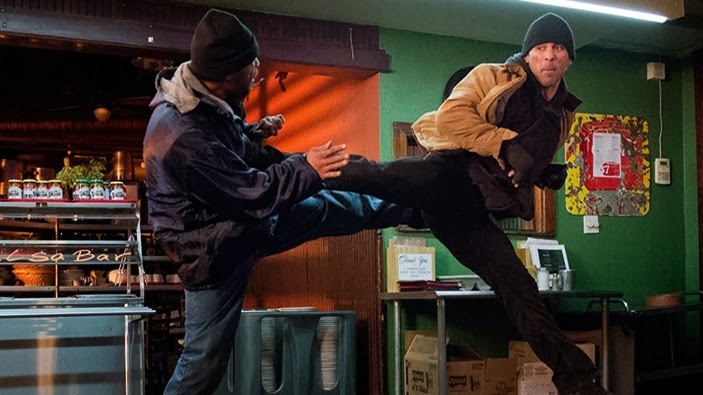 The movie offers plenty of action scenes filled with gun fights and martial arts, but the plot was pretty average since it was the familiar story about a mob boss whose control begins to weaken when a new rival intrudes on his turf (this story has been done so many times), but the back story and character development added a little extra quality to the movie. Both the Blu-ray disc and regular DVD disc were produce in 1080p with a 1.78:1 widescreen made the quality of this film excellent. The action sequences were very well done, between the gun fights and the martial arts the quality of the film was worth the Blu-ray. When there way graphic violence everything looked extremely real, from breaking of body parts in a fight to the bright red blood that came from gunshot wounds, the special effects were very well done. Colors looked realistic even though the film's look was deliberately subdued. The quality was consistent throughout the film, the skin tones were natural and realistic and there was a lot of detail present which was evident even more during close up shots. This Blu-ray disc was produced in Dolby TrueHD 5.1 where the regular DVD was produced in Dolby Digital 5.1, both with the option of English and Spanish subtitles. The music when the club scenes was on the louder side but dialogue was easy to hear and understand. When there was a martial art fight scene the sound effects were excellent, between the sounds from the contact to the sounds of breaking bones everything was very realistic. Then when it came to the gun fights the sound effects were very realistic as well. Behind the Scenes - About a twenty minute look at the movie, characters, and plot. We get to meet the four main characters and learn about their part in the movie as well as their feelings about the other actors as people and how they act. This extra reminds me of something you would see on a movie channel to hype an upcoming movie release. The way they put the behind the scene together made the movie interesting and helped clear up some of the confusing parts of the movie. Just make sure not to watch the behind the scene before the movie the first time, as it can spoil some of the movie. 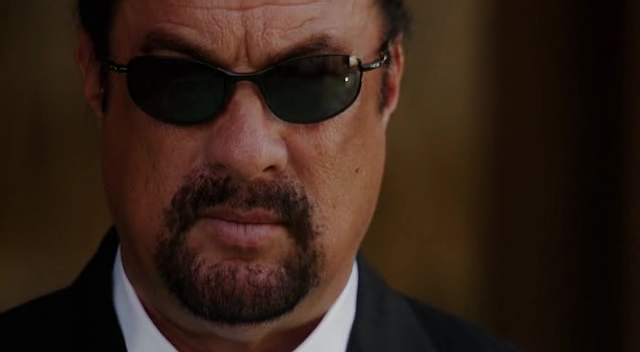 The cast involved really made the movie for me and I enjoyed watching Seagal playing a darker role, but in the end it was still his typical role being someone who has a very calm demeanor and has morals while looking for people's respect. The Blu-ray offers good video and audio quality but I wish there were more extras. However after I watched the extra included, the movie made a lot more sense when I went back and watched it a second time. After that, I understood what the actors were talking about in the extra footage which helped clear up plot holes in the movie.